Synonyms: Coltish, dedicated, dependable, devoted, devout, faithful, frolicsome, impish, goofy, joking, lighthearted, lively, merry, playful, reliable, spirited, sportful, steadfast, teasing, true, true-blue, trustworthy, interested in outdoors. “I do set my bow in the cloud, and it shall be for a token of a covenant between me and the earth.” This covenant, symbolized by the rainbow, promises a brighter future. For Stellarians, this brighter future is achieved by studying the Book of Nature. The Hermetic Axiom, "As Above, So Below," promises consistency between what is observed in Nature and the Divine Plan. The natural, material world is a mirror and reflection of the inner, formative world to which we often struggle to find connection and personal meaning. 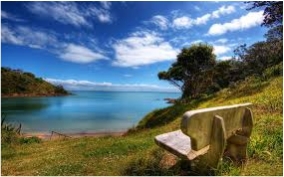 A balanced relationship between the inner and outer worlds might best be understood by studying the relationship between the higher mind (ninth house) and lower mind (third house). The third house rules science and the ninth house rules religion and philosophy. Science observes how nature acts. Then, it classifies these observations into formulas that are called laws. Science is a third house function and is under the rulership of the sign Gemini. When the classified knowledge, garnered by the scientific process, is used as a basis for a pattern of life, the resulting design is called a philosophy or religion. Religion and philosophy come under the dominion of Sagittarius and the ninth house. The Higher Mind endeavors, in as great detail as possible, to grasp the significance of this Divine Plan. Then, it strives to understand where, to best possible advantage, it fits into this Plan as a constructive factor. It assays its various abilities and possibilities to discover how these may be used to forward the movement of universal progression. Having determined the line of effort it wishes to follow to be of greatest use, accordingly, it sets to work to render that service. It is always good to remember that religion is an imperfect attempt to understand the Divine Plan. The expression of true religion is perfect or imperfect according to the abilities, and according to the correctness of the insight into what needs to be accomplished in the furtherance of the universal scheme. This conception is set forth in the text: True Religion is the Discernment of the Divine Plan and a Conscious Cooperation in its Fulfillment. 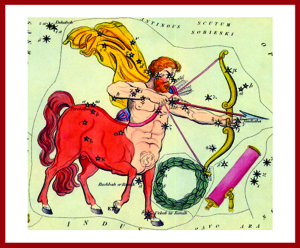 The companion Spiritual Sagittarius exercise by Christopher Gibson can be accessed by clicking on the image below or here.